Conflicts between Native Americans and European settlers began early in the settlement of this country. Even before there was a United States of America, Europeans pitted Indians against other Europeans, setting up horrifying massacres, such as the one in this book: the Penn’s Creek massacre. During the French and Indian War, Indians rose up against peaceful farmstead builders such as the Leininger family. Knowing this novel is based on events that happened to the author’s ancestors makes for a more gripping read. The story’s main character is Barbara Leininger. She and her sister, Regina, survived the massacre and are carried off as captives. Later, they are separated. 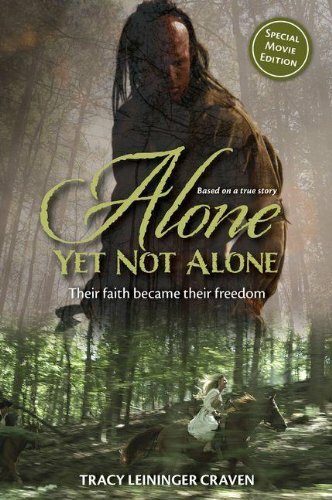 Barbara relies on her faith and her memories of her now dead father, who trained her to put her trust in the Lord to deal with each new grueling test. Some of the Indians of the raiding party are angry, bitter and out for revenge. Some are compassionate and kind, such as the young warrior who falls in love with Barbara. She spends three years in the Indian village, constantly looking for escape and trying to hold on to her identity. Then, the war turns and most of the warriors leave the village to rejoin the battle. Barbara knows that this may be her only chance to escape. Then the test really begins. The tone is a bit didactic to use in a public school setting, but could be useful in a church or private school. One suggested literacy activity would be to make a timeline of the events in the book to get a feel for how long Barbara and Regina’s capture lasted. This could be a book club selection if there is a church reading group in the fifth or sixth grade. Reading skills could be bolstered by discussing the questions included in the book. There is a movie scheduled for release later in 2013 and pictures from the film are included in this edition.